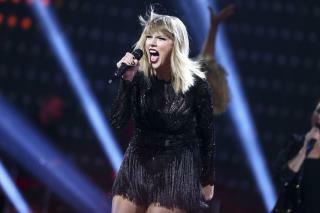 (Newser) – A few moments at a backstage photo session four years ago are about to be relived, as lawyers for pop star Taylor Swift and a former disc jockey she accuses of groping her begin picking jurors Monday in their dueling lawsuits. Radio host David Mueller sued the singer-songwriter, saying he was falsely accused and that she should have called police instead of his bosses, who fired him soon after the June 2013 encounter. He's seeking up to $3 million in damages. Swift countersued, claiming sexual assault, setting up the civil trial where she is expected to testify amid tightened courthouse security. Opening statements were expected to begin Tuesday in the case that could last two weeks. Court documents say it is unlikely that either side will settle, reports the AP. For an obviously very intelligent young lady Taylor tends to make some not very bright moves regarding public contact. When she got in the pissin match with the black rapper she did not understand when you get in the gutter with people who live there you are going to get mud on yourself and when some idiot touches you inappropriately a hearty slap in the chops is the best that can be accomplished, law suits over he said she said has tendency to turn out badly with no gain and lots of loss. What will she let me do for $5?